Andrew McCutchen had quite the year in 2018. The former National League MVP was traded for the first time in his career in January, going from the Pittsburgh Pirates to the San Francisco Giants. He switched teams again in August, joining the New York Yankees via another trade. 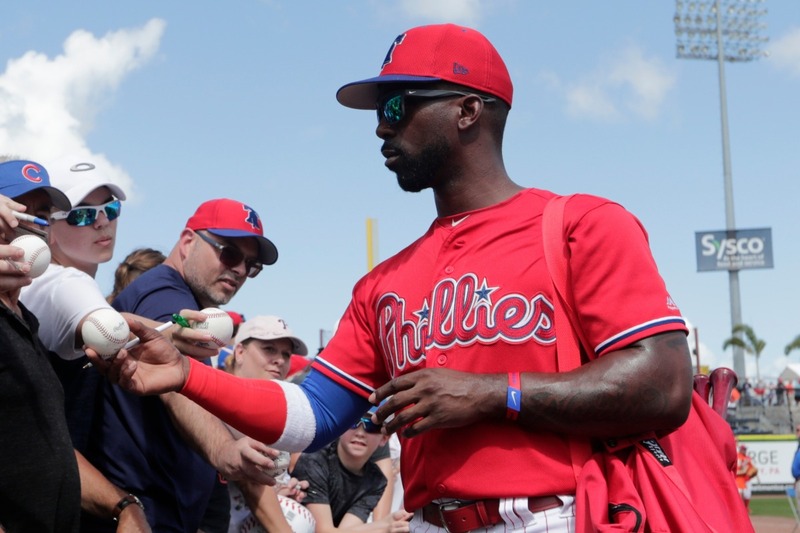 He then entered free agency after the season ended, and agreed to a three-year deal with the Philadelphia Phillies in December. While all the craziness in his professional career was unfolding, McCutchen was also experiencing his first year as a father. His wife, Maria, gave birth to their son, Steel McCutchen, in November 2017. McCutchen relied on his faith in Christ with so much changing around him. In his 10 seasons as a major leaguer, McCutchen has made five All-Star teams and won four Silver Slugger awards. During his MVP season in 2013, he hit .317 with 21 home runs, 27 stolen bases and 84 RBIs. At age 31 in 2018, McCutchen hit .255 with 20 HRs and 65 RBIs combined for the Giants and Yankees. As he begins his 11th MLB season on a Phillies team with lofty expectations thanks to additions like Bryce Harper, J.T. Realmuto and himself, McCutchen is keeping Christ as the foundation of his life. “This game is amazing and it is important, and I realize that, but God is more important than the game,” McCutchen said. The Phillies open the 2019 season Thursday afternoon by hosting the Atlanta Braves. With all the big offseason acquisitions, Philadelphia is not only favored to win the NL East, it’s among the favorites to reach the World Series.